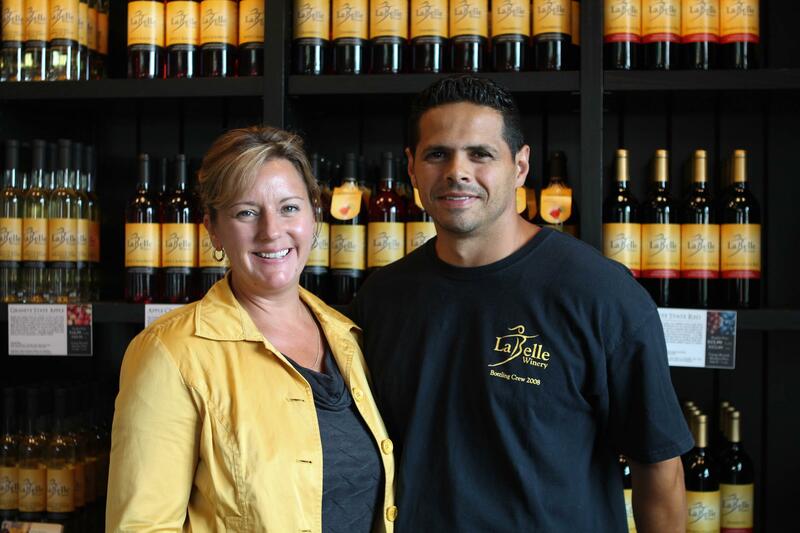 Amy LaBelle and Cesar Arboleda of LaBelle Winery. 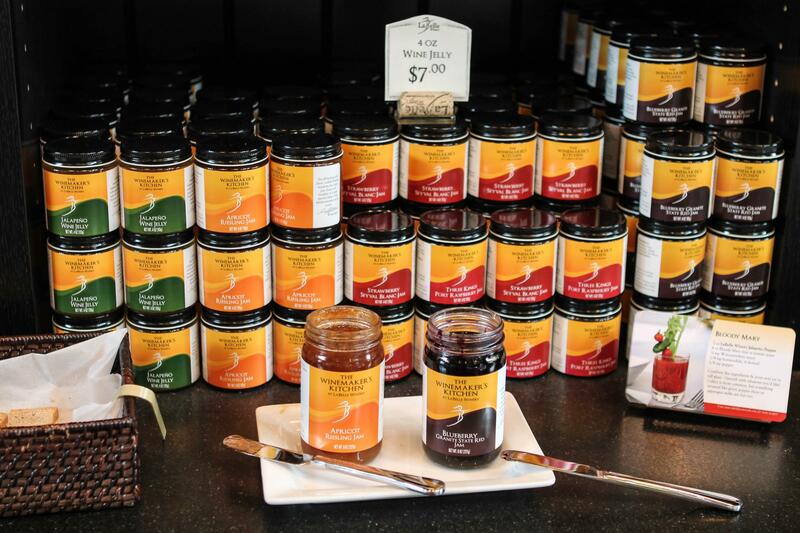 Several of the jams offered at LaBelle Winery. 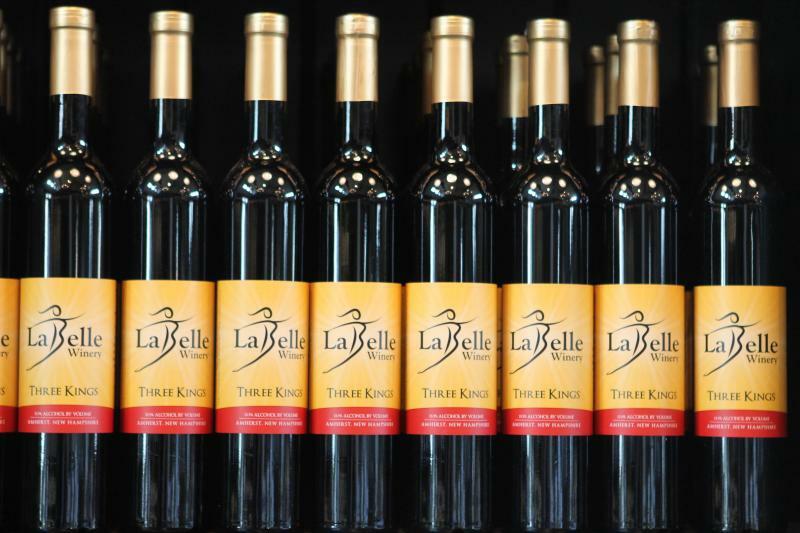 Several of the wines produced at LaBelle Winery. Unlike maple sugaring or beekeeping, wine making is not a typical agricultural pastime in New Hampshire. But new techniques in viticulture, along with classic Yankee persistence, are making local wine production a larger part of New Hampshire’s agricultural mix. According to the New Hampshire Winery Association, the state now has 30 wineries, double the number here in 2005. New Hampshire wine is no longer a rarity in local grocery and liquor stores, farmers markets and restaurants. Peter Oldak, the association’s president, and owner of Jewell Towne Vineyards in South Hampton, says the amount of locally-made wine is increasing by 20 percent a year. “More sales go through the tasting rooms than through the retail outlets,” says Oldak. When customers get a tour of the winemaking process, and sip samples, Oldak says they’re more likely to buy than if passing a wine aisle in a supermarket. Oldak estimates that grape-growing costs between $5,000 and $10,000 per acre. Vines, he says, need at least four years to mature. In Amherst, LaBelle Winery on Route 101 opened its doors last October after owner Amy LaBelle decided to move her business out of her backyard barn. 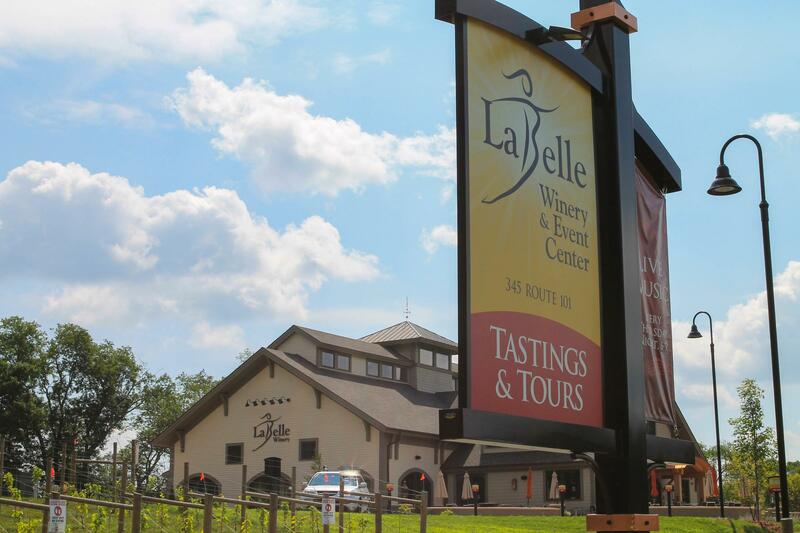 LaBelle Winery now employs 45 people and includes a store, café and tasting room, a large post and beam function hall. Before moving to her new location, LaBelle was bottling 18,000 gallons a year. Almost a year and 27 stainless steel tanks later, she is producing 30,000 gallons, with hopes of expanding. Amy LeBelle spent $5.3 million dollars on the new winery, which she calls a“terrifying number” and a “study in persistence.” She and her husband, cellar master Cesar Arboleda, pitched it to five banks before securing financing. On a recent weekday afternoon, a server behind the tasting bar pours some customers a glass of Marechal Foch, which is a French hybrid red grape blended with 20 percent blueberries and aged in French oak. Conversations at the bar revolve around the wine – much like the menus in the café: wine is not simply a pairing; it’s an ingredient in the food. Recently, the winery received a shipment of blueberries and LaBelle created a blueberry white chocolate mousse using blueberry wine, which she also paired with a mini blueberry martini. Fruit wines are significant to LaBelle, and other New Hampshire vintners. LaBelle is one of a growing number of viticulturists in the state transforming a craft hobby into a profitable endeavor. What’s made this trajectory possible is the latest research from university centers on how to grow a variety of French and American hybrid wine grapes in cold climates. Oldak says some wineries also import grapes from California, but make the wines on their own properties. Place fruit and brandy in a pitcher along with simple syrup to marinate for at least three hours or overnight. Pour Dry Apple wine into pitcher and top with club soda just before serving. Serve over ice.